Markets are awesome. They highlight a region and showcase the local wares, so what better way than to explore than by market hopping? We've done the hard yards, so you can take your pick of twenty top markets around Geelong & The Bellarine. When – Every Saturday from December to January and on the last Saturday every month from February to November, 8am to 1pm. What - Over 30 stalls of fresh fruit and vegies, homemade crafts and jewellery, plants and clothing. The Community Hall also opens its doors so you can enjoy a delicious Devonshire Tea. Where – 23 High Street, Bannockburn. When – First Saturday of each month (except for January) from 8.30am to 12.30pm. What – From farmer to you, stock up on fresh fruit, veggies, breads, olives, wines, jams, spreads, plants and more. There is also unique art, handmade homewares, eco-friendly products and family-friendly entertainment. Where – Drysdale Recreation Reserve, Duke Street, Drysdale. When – Third Sunday of the month, from October to May. What - Offering locally made and produced items including plants, flowers and food, as well as entertainment and food vans, there's a little bit of something for everyone. Where – Beckley Park, Broderick Road, Geelong. When – Every Saturday, 8am to 1pm. What – Range of goods from farm fresh fruit and vegetables, deli goods, dumplings, confectionery, plants, flowers, toys, phone accessories, homewares, unique jewellery, free range eggs, industrial items and more. Where – 1 Barwon Heads Road, Belmont. When – Every Sunday (except public holidays), from 8am to 1pm. What – Self-described as ‘Geelong’s biggest garage sale’ this market boasts stall upon stall of pre-loved and vintage clothing, homewares, jewellery, crafts PLUS fresh fruit and vegetables, plants and flowers, hot food and confectionery. When – Open 10am to 6pm, 7 days a week, every day of the year except Christmas day. What - Spend hours browsing and meandering through an eclectic mix of wares at The Mill Markets. There is a fantastic variety of furniture, records, vintage clothing, books, fine china, glassware, industrial items, jewellery, quality antiques as well as Australian pottery, homewares, memorabilia, retro fashions, collectables and everything in between. Goods are from the 1850's right through to present day. When – Every Sunday (except Geelong Show weekend in October), from 8am. What – As the size of the venue would suggest, there is over 150 stalls ranging from fresh produce, flowers and plants, household goods, tools, toys, novelties and clothing. When – Weekdays and weekends, 10am to 6pm. What – A beautiful old glass factory that now houses 2,000 square meters of vintage heaven. Over 60 permanent stall holders each specialise in unique items, ranging from shabby chic, to industrial & rustic, vintage clothing, antiques and much, much more. 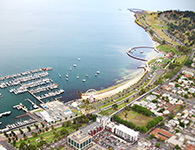 Where – Steampacket Gardens, Eastern Beach Road, Geelong. When – First Sunday of each month between 10am to 2pm (Autumn/Winter) and 10am to 3pm (Spring/Summer). What – Showcasing a range of handmade and/or home grown products and services including art, timber toys, kitchen bread boards, clothing, jewellery, soaps, candles along with farm products of olive oil, fruit, vegetables, flowers and plants. When – Weekdays 9am to 5.30pm, weekends 10am to 5.30pm. What - A collectables market place with 1000 square metres of industrial, vintage and retro furniture, jewellery and kitchenware with over 12,000 items. When – Second Saturday of every month, 9am to 1pm. What – Promoting sustainable farming practices by being an outlet for regional producers and makers to sell their produce from. Where – Deakin Waterfront Campus. When – Sunday 7th April 2019, Sunday 4th August 2019 and Sun 8th December 2019, 9.30am to 3pm. What – An artisan market that showcases over 80 stalls of beautiful jewellery, adults and children’s clothing, homewares, stationery, gourmet food and more. Where – Mt Duneed Estate, 65 Pettavel Rd, Waurn Ponds. When - Sunday 17th February 2019 and Sunday 6th October 2019, 11.00 am to 4pm. What – Same artisan market as above, except different location. Where – Geelong South Primary School, 200 Yarra Street, South Geelong. When – First and third Sunday of the month, 9am to 1pm. What - Fresh fruit & vegetables, free range eggs, pasta, baked goods, gourmet sausages, local wines and great coffee. A total food sensation! When – Third Saturday of every month, 9am to 1pm. What - A vast range of goodies including locally grown vegetables, meat, honey, berries, chutneys, cultured butter, cheese, savoury and sweet treats, wine, olive oil, free range eggs, plants, flowers, handcrafted chilli sauces and locally made sour dough pastries and bread. There is also beautifully crafted hand creams, soy candles, wool goods, soaps and doggie treats available for purchase. When – Second Sunday of each month, 9am to 2pm. What – One of the larger markets, with approximately 150 stalls, this market has it all covered. From local produce, art & craft, handmade clothes, artwork and children’s rides. When – Last Sunday of each month from September to March. What – A selection of arts, crafts, gifts, homewares, fashion and fun for the whole family (including your pets). When – Last Sunday of the month, September to May, 9am to 2pm. What – A boutique market full of handmade, home grown, produce, artworks and goods. When – 9th March 2019, 20th April 2019 and 2nd November 2019, 9am to 1pm. What – An array of craft, art, produce, homemade baking, new clothing, pre-loved goods, hot food and refreshments. When – Varying dates, watch the socials for updates. What – This unique market is all about assisting Mums in business by showcasing their wares. From craft, artwork, jewellery, toys, clothes and much more. With plenty to discover, loads to eat and a bags of bounty to buy, every day is a great market day.